Online marketing has been under a lot of scrutiny over the past few years. The reason for this is the fast-changing environment and trends that keep changing the game. They keep altering the way marketers use different strategies and tools to improve their online marketing efforts. One of the emerging trends in online marketing is certainly influencer marketing. 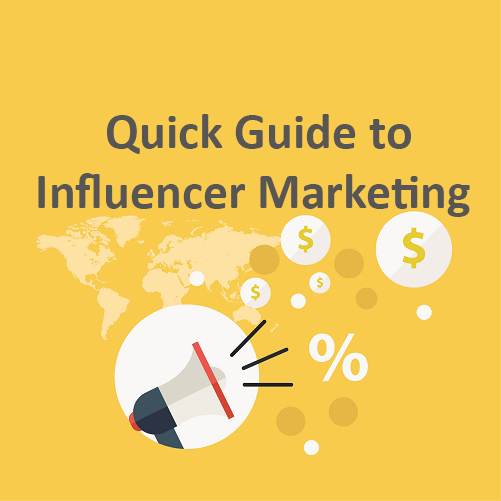 Influencer marketing, also known as influence marketing, is a type of marketing focused on working with individuals who have a certain influence on potential buyers and thus this influence helps them sway the audience and affect their buying habits. Instead of thinking about a target group directly, in influence marketing your efforts are aimed at a person or a group, that will indirectly promote your brand. If you want to explore the opportunities and use influencer marketing to promote your own business, here are a couple of guidelines to help you get started. To begin with influencer marketing, you’ll need to identify the influencers in your industry. 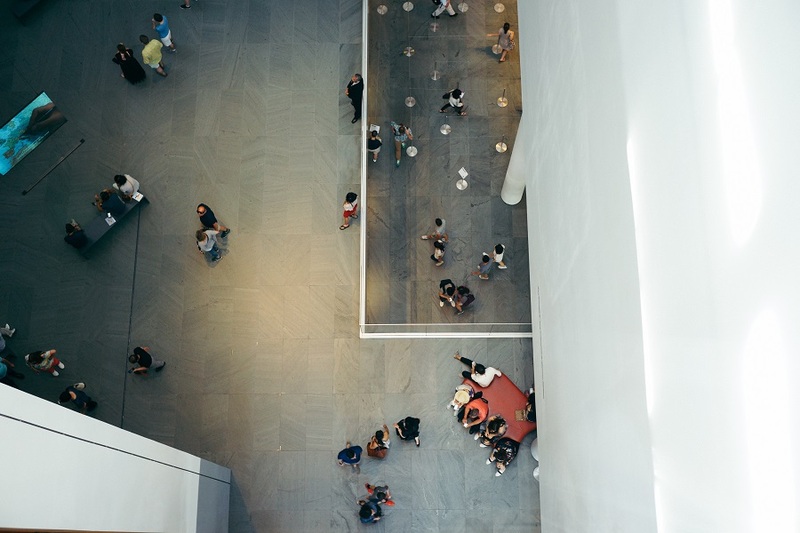 It’s true that in influencer marketing, you’re interested in working with an individual, but to make this collaboration a success, you’ll need to find influencers whose target group matches yours. You see, there is no point in working with an influencer in the fashion industry if your main products are kids’ toys. You also need to think about location as a factor when choosing an influencer to work with. Looking for global influencers when you have a local business is just useless. Buzzsumo – When you search for a specific topic, you get the list of influencers and bloggers related to the topic ranked based on the metrics such as page and domain authority, followers number, retweet ratio, etc. The paid plans are available which include more complex outreach features, filters, and reporting tools. Followerwonk – This software helps you search for influencers on Twitter. It allows sorting of the influencers using different filters as well as comparing them using “Compare Users” feature. The free version offers one profile and limited access for finding and analyzing influencers. Keyhole – This is the hashtag and keyword tracking tool that helps you find relevant content and influencers. The tool offers some basic data for free, while you will need to sign up for a paid account to see all the details. Klout – It allows analysis and measurement of the individual’s influence on social networks, which is expressed with Klout score, a numerical value between 1 and 100. Kred – This tool uses an algorithm to calculate two scores called “influence” and “outreach”. Twitter and Facebook activities contribute to the score and are measured to calculate the influence. Of course, influence might be difficult to measure, but try analyzing the things like social media followers, website visitors, the number of subscribers, inbound links, etc. You might also want to check the search results to see what other online users think about those influencers. When you have all of this data, then you should be able to rank them, for example, using a scale from 1 to 10. You’re going to prioritize working with highly ranked influencers. Tools for identifying influencers often have a ranking feature, which is another way you can decide which influencers to prioritize. Determine the goals of the campaign you will be promoting through influencer marketing. What do you want to promote? Is it a new product? Do you simply want to boost sales with this collaboration? Thinking about the goals helps you focus more on this promotional activity and what you want to achieve through it. In certain situations, the goals can help you decide which influencers are best suited for that campaign. For example, if you want to increase brand awareness on social media, choosing an influencer based on the social media influence is probably the way to achieve this. Think about which type of content will help you achieve your goals. Is it entertaining content what you need, or does it need to be educational? Do you plan on using written content exclusively, or would a video format work better? The type of business you run and the kind of products you sell will help you determine the content you want to use in influencer marketing. Sometimes a written blog post would be a great choice. For example, if your company sells software, you could collaborate with the influencer to have him write a review and get it published on his blog. Not only does this help you with raising brand awareness and reaching the target group of that particular influencer, but it’s also good for SEO. Besides written content, a video tutorial might also be a good option for your business. Again, it depends on the products you sell. When thinking about content in influencer marketing, you should never stop thinking about your target group. After all, those are the people you’re trying to reach, which is one of the important goals of this kind of promotion. How do they usually interact with you? Do they read blogs, or are they more of social media enthusiasts? Finally, think about the influencer. For example, if you’re planning to work with a well-known industry blogger who enjoys a great deal of influence, you probably shouldn’t choose video as your go-to content. The person might just not be interested in doing something he or she is not comfortable with. Furthermore, the target group is accustomed to a certain type of interaction with the influencer, regardless if that’s a blog, a video, an email, etc. so you shouldn’t try to change this. You should interact with an influencer the same way you’d handle the media in the traditional marketing approach. The initial connection is established through social media or email, but the actual offer in regard to collaboration is probably something you would want to elaborate in an email. Here are a couple of steps you should go through when trying to pitch your offer to an influencer. In your offer, you should use a custom approach and pitch an offer designed with a specific influencer in mind. Not only does this help with personalizing your approach, but the influencer will feel more special and be under the impression you are genuinely interested in working on this project with him or her. Through this message, you should try to be personal, and show that you’re well informed about influencer’s online work. Obviously, to do so, you will need to do a bit of research beforehand, to get to know the influencer first before making any contact. Take the time and effort to really present the offer in the best way. You should also mention the goals you want to achieve. In this section, you want to get the influencer interested in your business and your product. Have in mind that influencers might be getting a lot of offers like that all the time, so you want to make yours really stand out. Finally, you want to highlight the benefits for the influencer in order to encourage him or her to consider cooperating with you. This way you go a step closer to closing a deal, and if your offer is truly interesting, the part about the benefits will only help you get an influencer to accept the offer. In the end, provide alternative methods for the influencers to contact you, regardless if that is your email, phone number, social media profiles, etc. To make this message completely personalized, it’s recommended that you provide your name, role in the company, and preferably a photo. When it comes to methods you’re going to use to work with the influencers, there are three ways to achieve this collaboration. First, you can market yourself to the influencers. This approach is focused on you promoting your brand to the influencers with one goal in mind – you’re hoping that the influencer will find your product valuable and worth sharing with the followers. In this case, your main goal is to promote yourself to an individual or a group of people, and to impress the group that you identified as influencers in your industry. The most common way to do so is by sending your product as a gift. It’s best to accompany this product with a press release and a special type of packaging designed for this purpose only. This type of influencer marketing method usually doesn’t include a sponsorship fee. Another way to market is through influencers, and this method usually involves a sponsorship fee. It works like this. You find influencers you want to work with, mainly because of the potential reach that your message will gain, and then you contact the influencer with a business inquiry. You can offer a payment for your product to be mentioned by an influencer, and the payment is usually determined by the person’s influence and the estimated revenue this collaboration can bring. The final form involves a collaboration project. With this type of influencer marketing, you create a project you will be working on with the influencer(s) of your choice. This may or may not require a fee. It depends on the type of campaign, the goals, and the overall benefits both of you can gain. It also depends on the reputation of the influencer. For example, if the influencer sees this project as an opportunity to gain even more reach, he or she might be interested in working with you for free. On the other hand, if your company will benefit much more from this collaboration, you might want to offer a fee as an encouragement for the influencer to join the project. Although you can collaborate with influencers and shorten the process, there is yet another alternative. One of your employees can work on building influence online as an expert in the field, and through this influence, your employee will indirectly promote your brand as well. The main drawback of this approach is that the person will have to spend some time building influence, which sometimes can take years. When to use influencer marketing?